Khartoum hosts Six-party meeting on Renaissance Dam today. Foreign relations committee to visit Halayib , Alfashaga and Abyei soon. National dialogue participants agree on a new constitution. Alsadig Al-Mahdi refuses to topple the regime by military force. Ethiopia : diversion of Blue Nile's course to run through Renaissance Dam. Omdurman National Bank receives ((the first bank in Sudan for the year 2015)) award. Khartoum WAli (governer) : urgent solutions to transportation crisis. Minister of Welfare and Social Security: introduction of all citizens in the health insurance by the year 2020. 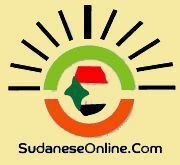 SPLN/north boycotts preparatory meeting excludes (Sudan Call) forces. Ethiopian Sudanese talks on securing borders and infringement on farmers and land. الانتفاضة الثالثة انتفاضة الكرامة (71) كلابٌ هولنديةٌ وقنابل إنجليزية في مواجهة الانتفاضة بقلم د.